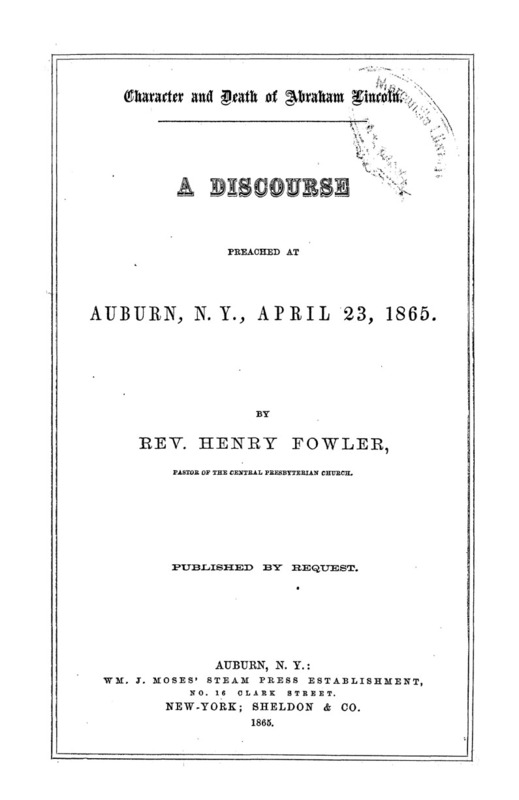 Address preached by Henry Fowler in Auburn, New York. Wm. J. Moses' Steam Press Establishment, No. 16 Clark Street; Shelden & Co.